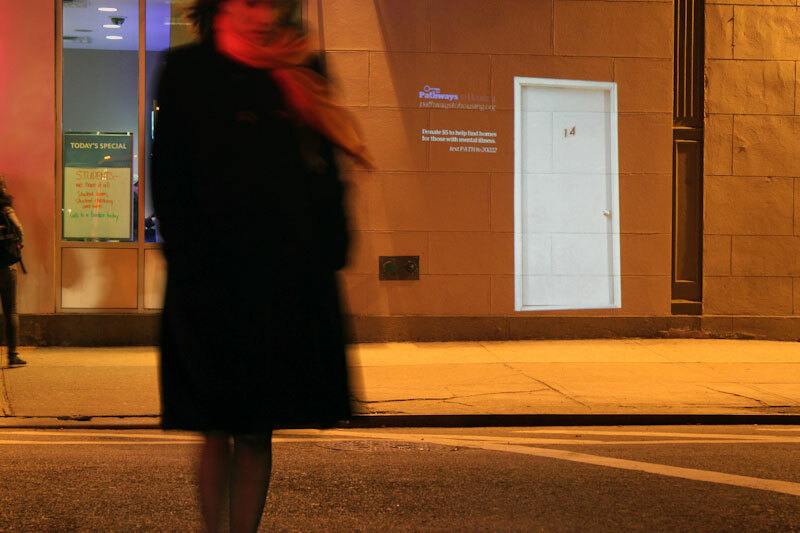 Virtually Homeless SMS Installation « Hello Sekati. Pathways to Housing is a non-profit focused on providing housing & employment opportunities for the homeless in New York City & other major metropolitans. 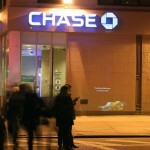 In 2010 Pathways commissioned SM to create their website www.pathwaystohousing.org & a technology driven awareness campaign in NYC. 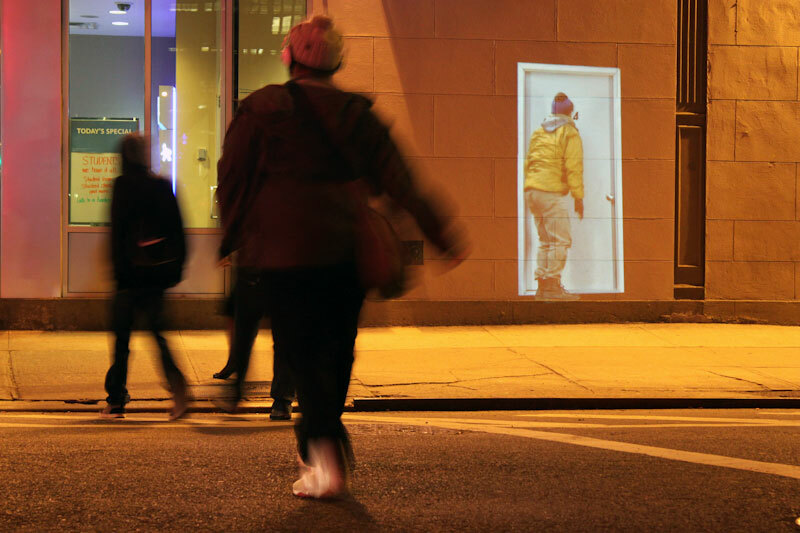 The cornerstone of this campaign was the Pathways Installation; a life-sized homeless man was projected on the walls of areas with high foot traffic around the city throughout the night. 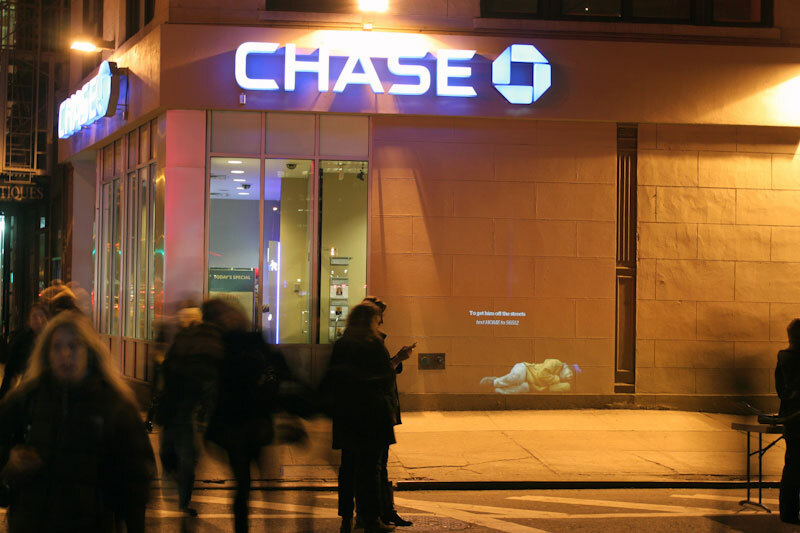 Occasionally the projected man would toss or turn & a message would appear above him prompting passersby to help him by sending an SMS text a certain number. 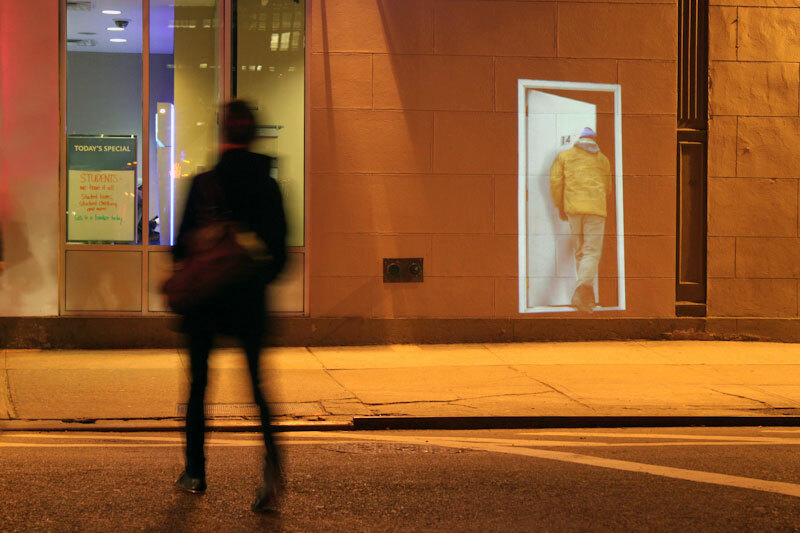 Anytime a text message was received the homeless man would wake, stand up – a door appearing on the wall behind him. 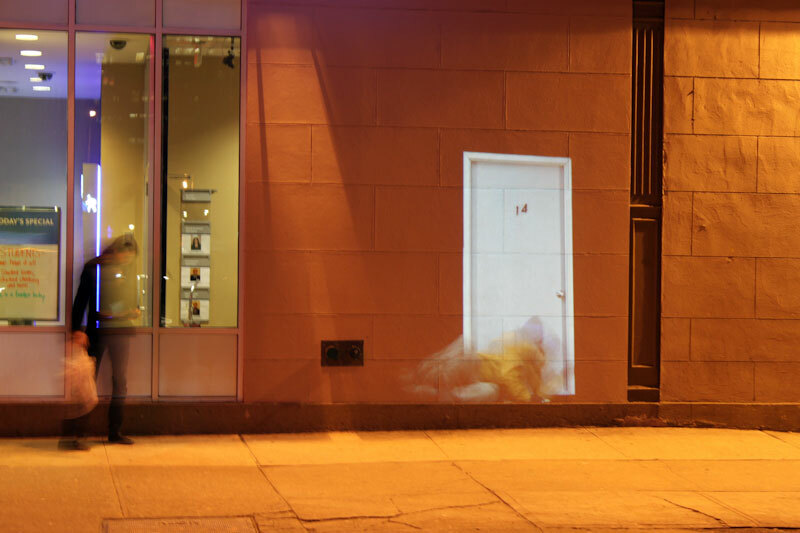 He would open the door, step through – and the homeless man, and door would disappear – leaving the wall bare. The viewer then received an SMS from our server which briefly explained Pathways to Housing to the user & prompted the user to place a $5.00 donation by responding to the text message with the response DONATE. 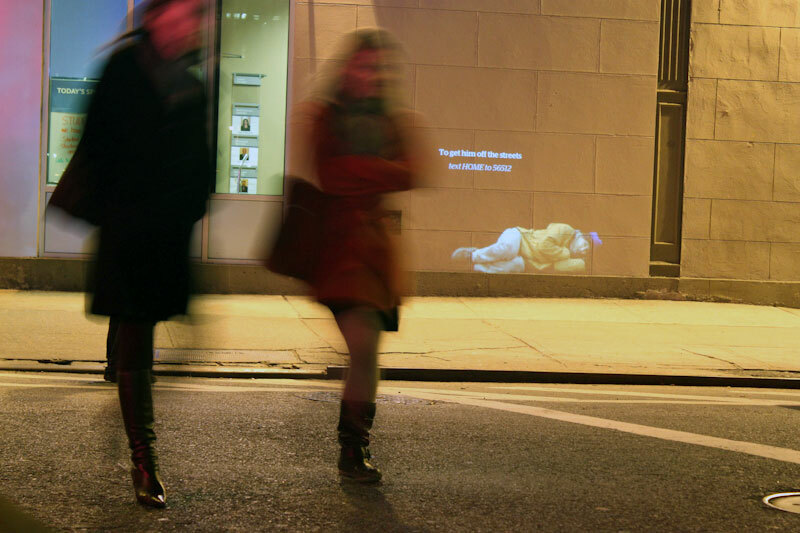 After a brief period the homeless mans projected re-emerged on the wall for the next curious viewer. 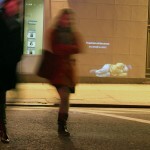 The installation was accomplished via a Air application which splicing random video loops to create the homeless mans idle movement, whilst listened on a custom Socket Server (interestingly, the same C-based ActionServer used on Sekati Sekati Classic) for SMS event triggers which would fire the payload video.